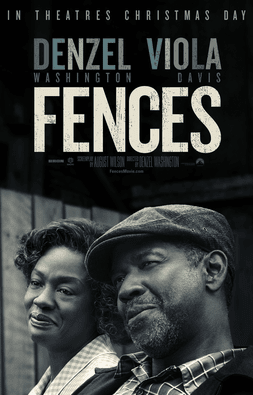 “Fences” begins with two men discussing a fence that one of them is building for his wife. He openly questions why his wife has been on his case for the past several years to make it in the first place, since he feels they don’t have anything worth stealing in the first place. The other man points out that some people build fences to keep people out, while others build fences to keep people in. 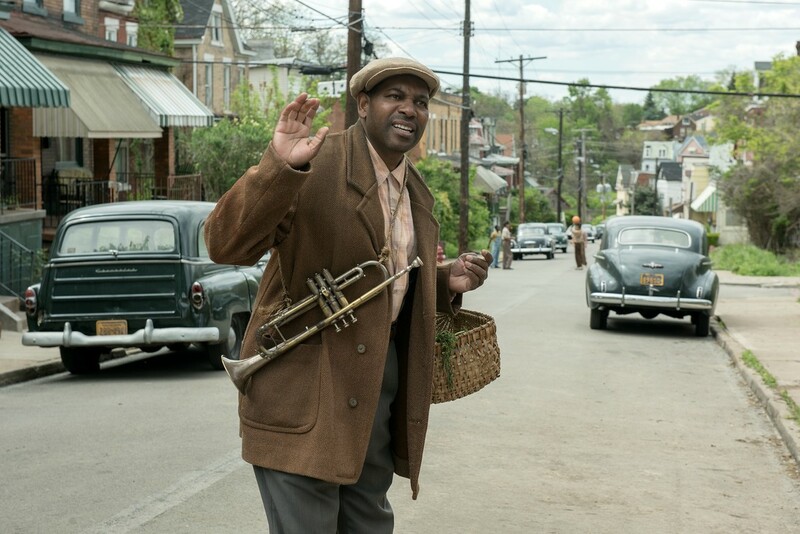 This causes the first man – named Troy (Denzel Washington) – to pause for a moment. Although we in the audience have not been clued into what is about to happen, we can tell by the look on his face that he knows what his friend says is true, and in that moment he has decided to face that issue head on. For most people this would be noble. To realize a potential problem is on the horizon and to tackle it head on before it does too much damage is normally considered a good thing. 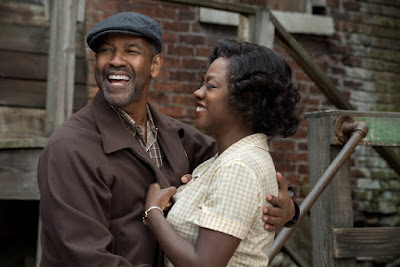 Instead, he walks into the house and tells his wife Rose (Viola Davis) that he has been seeing another woman behind her back, he plans to continue to see her, and she is pregnant with his child. The wife barely holds it together as she openly questions the purpose of the last eighteen years of her marriage. At this point the audience finds itself with conflicting emotions. We are mad at Troy for being a selfish jerk, but we are also sympathetic to him because during the first hour we have learned his life story in great detail. He is not a likable man. Even when he is drinking his vodka and cracking jokes with his lifelong buddy we don’t really like him. We see him for what he is: a man who had hopes and dreams that didn’t work out, who now spends his days toiling at a job he hates while blaming others for his problems (mainly the white man). He constantly goes on about how he used to be a great baseball player, but that black people weren’t allowed to play baseball when he was in his prime. 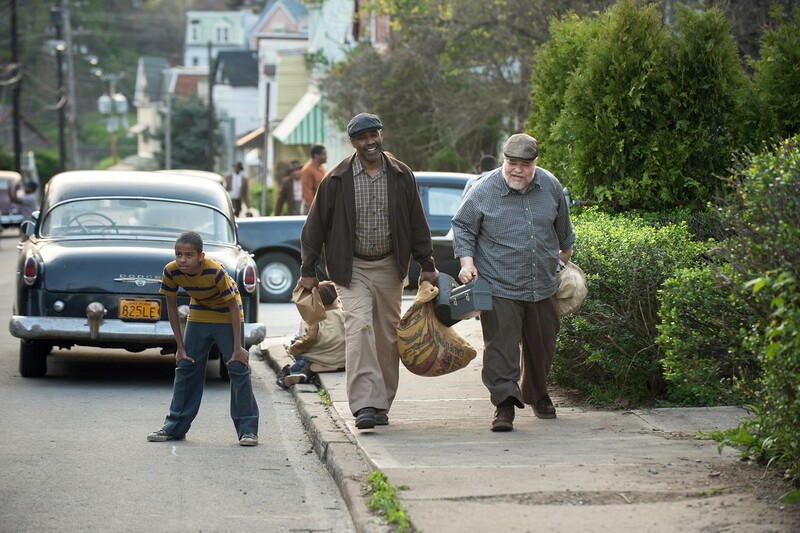 When Jackie Robinson finally broke through that barrier Troy was considered too old to play the sport. Now he has a son who is being scouted to play football for college. Rather than support his son and realize the world is a different place, he does everything he can to deter him from following his dream. Is he just jealous of his son having opportunities that he never had? Or is he so fearful his son will go down the same path as him he is overly protective? The movie eventually does come to a conclusion on that one, but Washington’s portrayal of Troy keeps us guessing until that answer is reveled. Washington portrays Troy as an obviously bitter and flawed man, but one who may, deep down, ultimately have good intentions. Maybe he even deserves to be a little selfish considering how young he was when he was forced to grow up? Well, except the part about him having an affair (you can’t make a character sympathetic enough to get me to justify that one). Washington is excellent in the role. This is because the man is not only one of Hollywood’s most talented men, but he played this part on Broadway and won a Tony for it. He also directs this film version, so it’s safe to say he knows his way around the material. 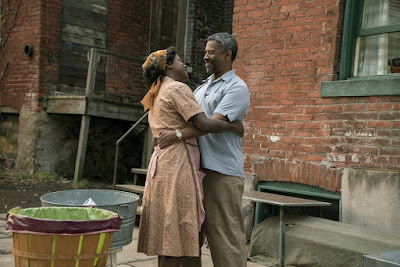 As an actor of both the stage and screen, he even understands that this is a very talky production, and uses subtle visual tricks to keep the stage roots of the production from overtaking what needs to be a cinematic experience. The final thing about “Fences” that needs to be said (and I admit I’m going to word this as carefully as I can), is that this is a story about the African American experience that is realistic yet hopeful. Most of the people in this movie got screwed out of great opportunities based on the color of their skin. They are living in a time where they should have equal rights, but you can’t legislate racism out of the equation. Yet we do see things getting better for the younger generation. We see more opportunities arising. Troy talks about how the white man keeps holding him back, yet its white men who give him a promotion as the first colored truck driver in the area. The fact seems lost on the man who continues to blame his problems on them. The play was written in 1987 and appears to have the opinion that there are some things the world holds you back on in life and some things you hold yourself back on. Who knows where Troy could have gone had he not spent so much time feeling sorry for himself? Who knows? We need that message more than ever I feel. Parents,there is some minor bad language and adult themes. Recommended for ages 14 and up.